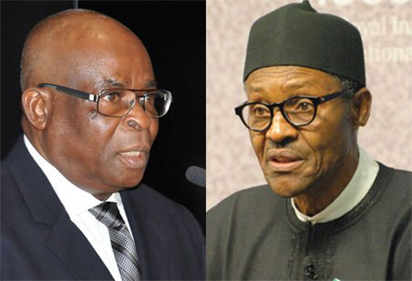 The Advocacy for Integrity and Economic Development (AIED) has described the suspension of the Chief Justice of Nigeria, Justice Walter Onnoghen as a grand illegality, desecration of the garment of democracy and final stage of Adolf Hitler, which must be stopped. In a statement in reaction to the suspension of the head of Nigerian judiciary and signed by its Director of Publicity, Comrade O’Seun John, AIED stated that the action should be protested not just by every member of the Nigerian body of benchers but all patriots who hold dear the continuous existence of Nigeria. “The President of the Federal Republic of Nigeria, unveiled fully his true personality after years of dilly dally and pretense as a reformed dictator. Muhammadu Buhari like Adolf Hitler, has shown to the entire world that he is nothing but a totalitarian who would not mind dragging every institution of the Nigerian state down to win a re-election. “Today, we have seen a man who engages in illegality, spits on the pages of our hallow constitution and kicks our sacred laws which forms our identity. “The illegal suspension of the Chief Justice of Nigeria is not only alien to every fibres of our laws but distasteful and an unforgivable violation of the core spirit and principle of separation of power. “We hereby call on all members of the Nigerian Body of Benchers and patriots across the world to stand up against a new ‘Adolf Hitler’ that has found home in Nigeria. We call on every world leader to stand up for the Nigerian people at this moment of tribulation and help end this reign of absurdity,” the statement read.